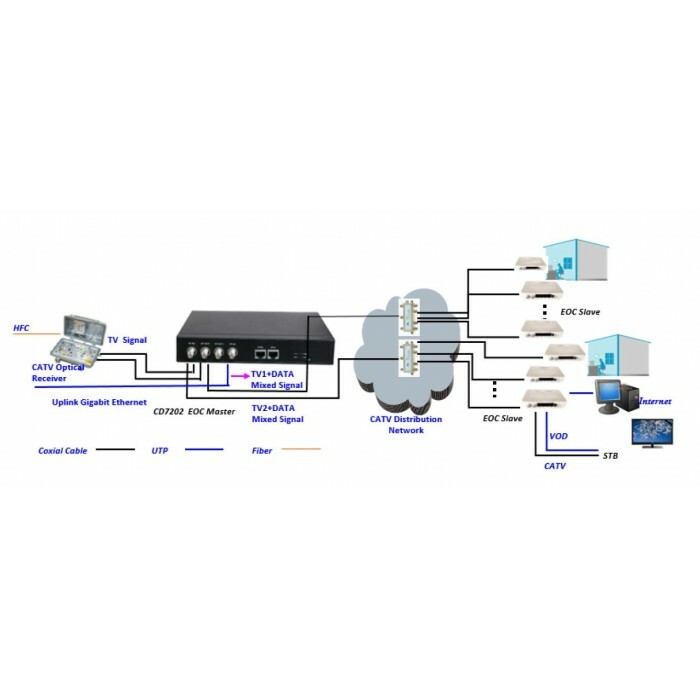 EOC112xL series are point-to-multipoint EoC (Ethernet over Coax) solution that efficiently extends 1000M Ethernet circuits to over 700-1000 meters (2,624feet) up to 600Mbps (max layer up to 320Mbps) using existing coaxial cable. The EOC112xL will allow Ethernet connectivity in existing facilities or homes without pulling extra cable. This is perfect solution for Ethernet on the factory floor where systems have been upgraded from slower serial communication to Ethernet networking. The EOC112xL is a master/bridge unit which will connect to multiple EOC1121R4x subscriber units. Occupies the Low Frequency Band under 7.5~65MHz. Strong capacity of anti-interference. High bandwidth. Dieses Produkt haben wir am Monday, 18. September 2006 in unseren Katalog aufgenommen.